Review - I Am Dynamite! 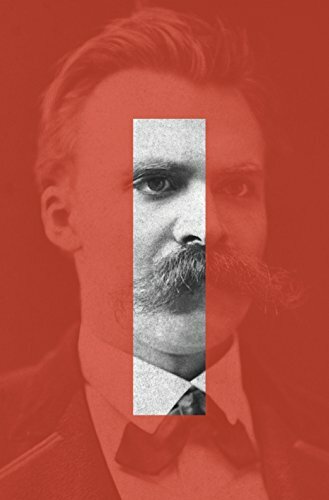 Having struggled mightily to make sense of Nietzsche's moral philosophy and assess whether his work is worth studying, I found Sue Prideaux's biography of the man a revelation. Putting his ideas in the context of his life, showing the development of his ideas and how they were reactions to his life circumstances, Prideaux makes sense of Nietzsche. It is also very helpful to know what most of his works were written in a great rush, between his illnesses, while he was able to focus, battling the severe problems with his eyesight. This explains why so much of his work looks like a stream of wild ideas hastily written down -- they were. Especially important, Prideaux makes clear that while Nietzsche was surrounded by anti-Semites, he was repelled by anti-Semitism, even if he didn't work hard in his writings to sufficiently distance himself from that appalling view. We also see how Nietzsche's sexism in his writings was often a direct reaction to his experience with women, in a petulant anger at not getting his way. Indeed, we see much that is not admirable about the philosopher. He is often arrogant, a bad judge of character, a terrible teacher, and socially incompetent. Indeed, he is frequently a sorry figure even in his prime, and his descent into madness just makes him sadder. Yet we also get to the emergence of his post-religious morality, and his rejection of the possibility of facts and indeed all philosophical systems, which remain provocative and exciting philosophical ideas. As one proceeds through this biography, it is easy to imagine it being turned into a mini-series on TV. It would be a dark comedy full of larger-than-life characters, including Richard and Cosima Wagner, Lou Andreas-Salomé, Nietzsche's vile sister Elizabeth, and the philosopher himself, often shy and awkward, hiding behind his huge moustache, but also passionate and fully committed to his own ideas. Prideaux's descriptions of Nietzsche's dog-like fawning on the older Wagners contain so many moments of absurdity that the book frequently had me laughing out loud. These people with such great self-assurance, intent on delivering philosophically profound music for the German people, resulting in absurd productions for the elites, are unmasked by Prideaux as utterly ridiculous and rather disgusting. Nietzsche does not come out of his entanglement with them with much distinction, but he did at least reject many of Wagner's ideas and was ambivalent about his music. Nietzsche in fact became a European, rejoicing in some Mediterranean culture. He was not a legal citizen of any country, and he liked that. He loved the mountains, and especially the region of Sils Maria in Swtizerland. This makes sense of his aphorism "Never trust a thought that occurs to you indoors." He remained convinced that science could not give all the answers to life, and that a life that did not pursue the important questions was impoverished. While he seemed to take himself extremely seriously, he also embraced buffoonery and warned against being seen as a sage. So he was ready to accept the tensions and contradictions within his life and his thought, and this makes him ultimately a sympathetic figure.